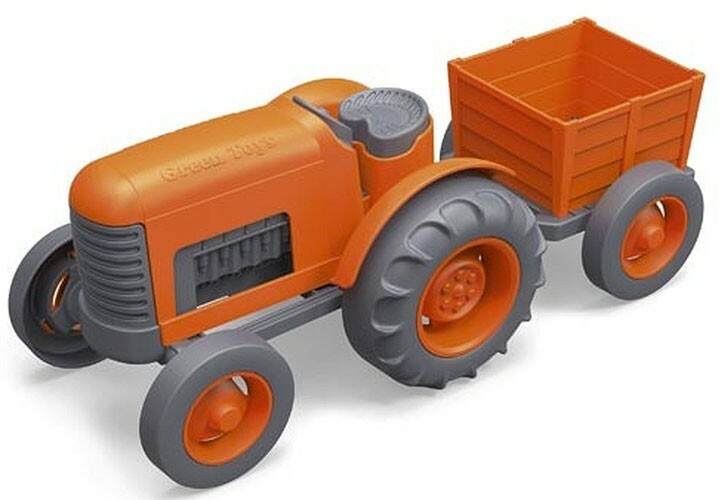 The Green Toys Tractor puts a whole new spin on farm-to-table. With chunky, go-anywhere tires and a detachable rear trailer, little farmers can harvest and haul the freshest organic produce their imaginations can grow. Super safe and versatile with no metal axles (no rust) or external coatings (no chipping or peeling), it's ready for any playtime payload, whether indoors or outside. 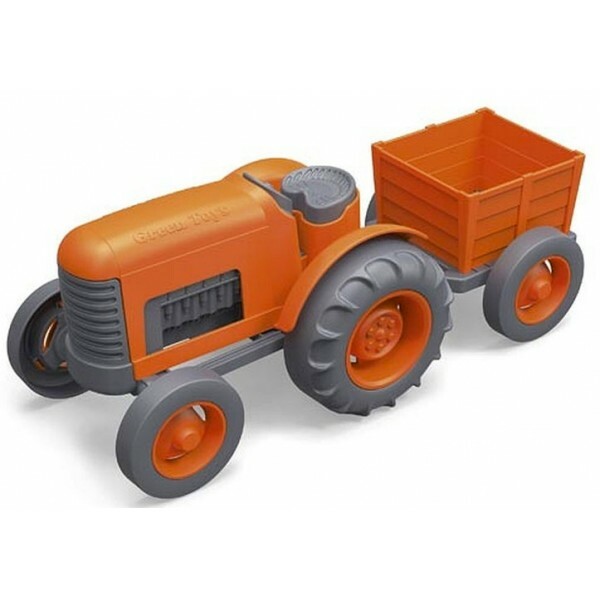 Made in the USA from 100% recycled plastic, this might just be the "greenest" tractor around - despite its vibrant orange hue. No BPA, phthalates, or PVC.